There are some moments where technology and feet fit perfectly together. Granted, I need to explain something. For a few weeks I own a Boosted Board clone. Mainly I wanted it as a remote camera dolly, but the nice side effect is to be able to cruise through the streets in town. There was a learning curve for me as I didn’t skate before, but ok, everything went well. That day there was a large street party going on and I was driving with my board through the masses of people. Eventually I walked and stopped at a big place, where I simply sat down on the board. I had my camera with me and put it on the board also (please excuse the unrelated picture of me). 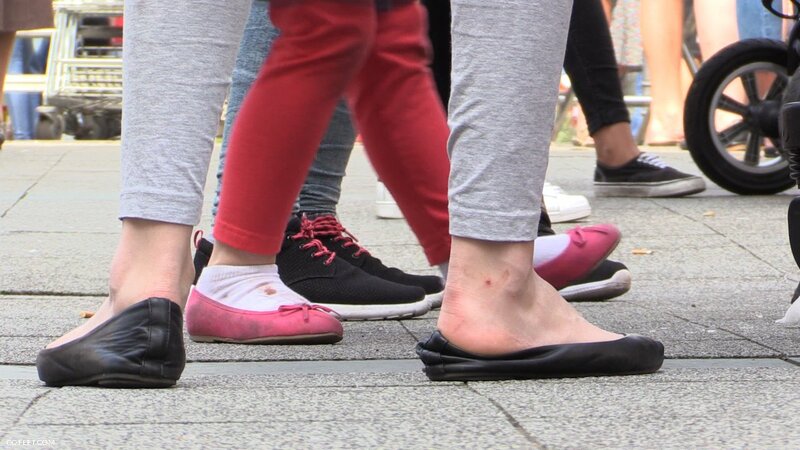 I don’t know if you know this, but when there is a large amount of people around you, I find it hard to focus on one girl’s feet. Kind of excessive demand. But there was this flats girl. 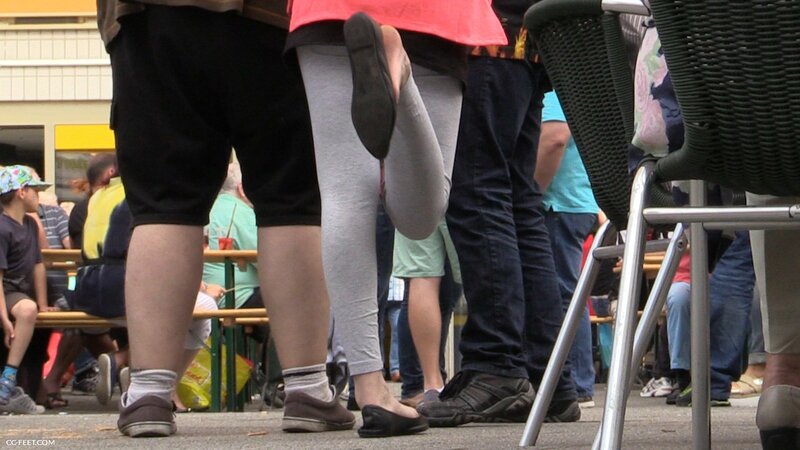 End teen, barefoot, leggings and those soft comfy leather flats at her feet. I love them so much because of many reasons. Perfect for shoeplay, a good smell and I really like the toe cleavage you can see every time when the foot is moving. So did this girl. 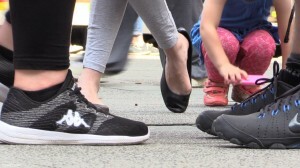 Beware, there is not much shoeplay in our common sense, but she did heelpops, flexed her toes over and over in her flats and – read the title – she danced to the bad music which was played by a bad live band. And, for god’s sake, she crushed a cigarette so nicely, this was a pure joy for me. After 11 minutes I stopped recording because I had enough of the crowd.